So, I picked up this adorable scarf the other day while shopping in West Edmonton Mall and like all new purchases, I quickly looked at the tag to see how to care for it. I simply had to laugh at this one! 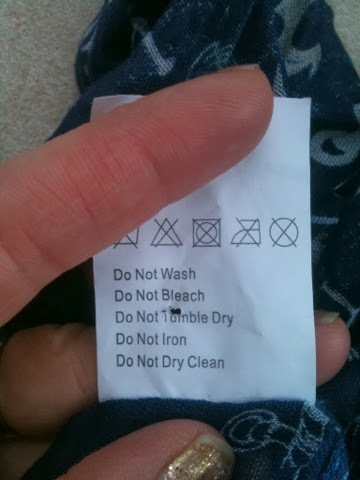 Along with this list, it should say "Do Not Use" or "Do Not Wear"!! !